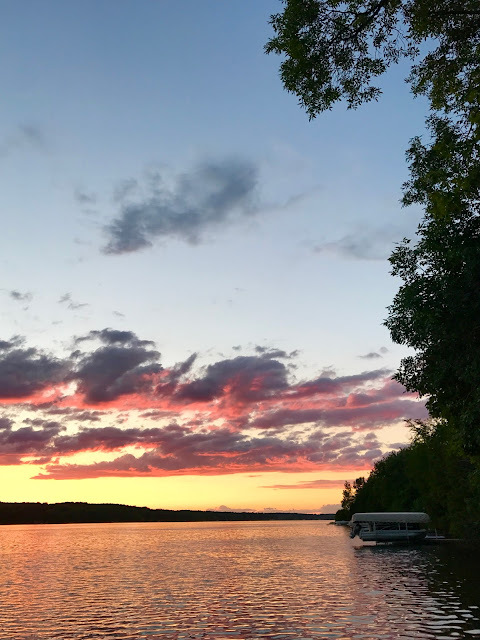 Lakeside Musing: The Sunday Salon: Summer is Here! Good morning, friends. We're off to a sunny start today, perfect for the first Sunday of summer. I missed posting last weekend when we were in NYC visiting our daughters... a wonderful time, despite the rain. This weekend we're staying closer to home, but still have more plans than we can fit into two days. There hasn't been much reading, but here's the update. This book is actually a letter written by the author in response to a childhood friend seeking advice on how to raise her baby girl as a feminist. 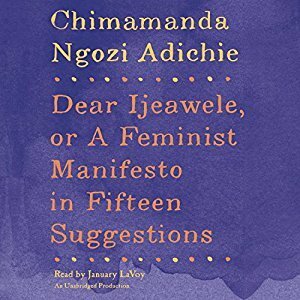 Adichie provides fifteen compelling suggestions. My daughters are all young women in their 20s now, but I still found much to think about here. I listened to the audio version (narrated by the talented January LaVoy) in just over an hour and highly recommend going that route! It's happened again... bookmarks in too many books stressing me out. 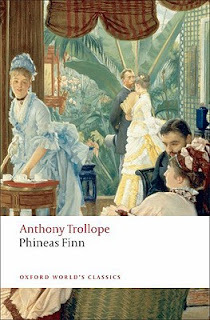 I put two aside (for now), so my full attention is focused on Trollope. The second book in the Palliser series started off slowly, but now I'm enjoying it very much. 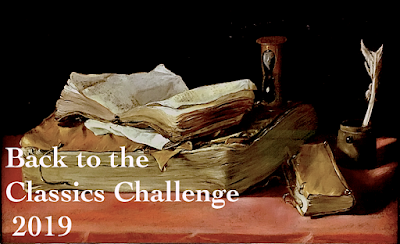 As the Barsetshire novels were ecclesiastical in nature, this series is driven by politics. I'm exhausted by real life politics these days so that aspect isn't much of a draw. The characters, however, are much more interesting. Trollope always seems to get me there! I'm especially struck by Lady Laura's plight - marrying for financial security at the expense of love and, possibly, happiness. I'm also wondering how things will play out with Violet Effingham and her suitors. Victorian women had so little control over their lives! Phineas Finn, our hero, is growing on me, too. After reading the first chapter of this book, I have a feeling I'm going to love it. It deserves my full attention instead of being just one of three current reads. I've renewed it for three more weeks and hope to get back to it before them. The audio version of Born A Crime is still on my phone. It's excellent, but listening time has been almost nonexistent over the past two weeks. Thankfully, I own this one and am under no time constraints. I purchased this beautiful Vintage Classics edition at Amazon's brick and mortar store in NYC last weekend (an entire post could be written about that experience!) It's been at least a decade since I read this one, and I plan to join James' Jane Austen Read All A-long for July. I may be a little late to the party though... I doubt I'll be able to finish Phineas Finn by July 1. This book has been on my wish list since Nonfiction November... everyone seemed to love it. 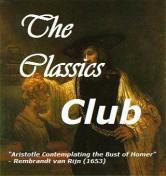 My book club will discuss it July 18. If I pick up my copy at the library tomorrow, can I read it in time? Our small town goes all out for the 4th of July... parade, fireworks, road race, etc... and we host our own party, too. Both girls are coming home from NYC, so our house will be full. No promises for a post next weekend, but I'll catch up when I can. How was your week? What are you reading? Any plans for the upcoming holiday? I think I will check out Lab Girl. I like to add non fiction in the mix and just finished Cork Dork, that was good. Lots of cool books on your reading list! Glad to hear you enjoyed NYC. Despite growing up outside of Philadelphia and my friends all clamoring to go to NYC, I never made the trip. Wow! 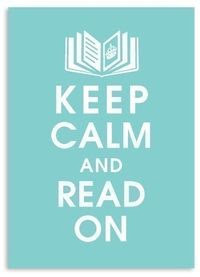 You have tons of books out there and they are all serious ones, too! No distractions! I love what you read but I would be overwhelmed by it! Enjoy your July 4th...it sounds like tremendous fun! Patty - Sometimes it does get a little too heavy.... that's when I read for a fun cozy mystery or beach book! And I may need one very soon. 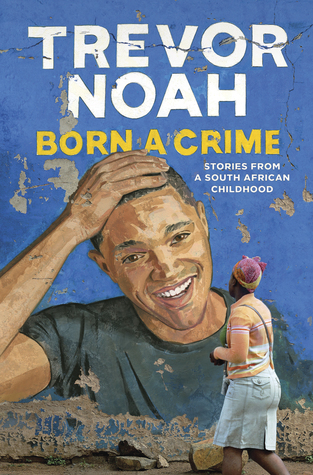 I loved Born a Crime and would love to read Dear Ijeawele even though I didn't have daughters. My dad always said having a daughter should make every man a feminist but we know it doesn't. Our street celebrates the 4th in a big way. We'll have company but it will be easy to entertain him - we'll just take him to our street party. Kathy - I'm loving Born a Crime, too, and hope I can get back to it before too much longer. A July 4th street party sound like a lot of fun... and so much easier than hosting. Enjoy! Your Fourth of July festivities sound wonderful, and remind me of growing up in a small town with parades, picnics, etc. Nothing much here, though, although perhaps a barbecue somewhere. Born a Crime is on my list. Feminist Manifesto sounds good. I'm curious about Lab Girl. Laurel-Rain Snow - Small towns celebrate the 4th in ways a big city just can't... glad my girls still want to be part of it each year! I need to add Adichie's book to my Audible list. I just finished H is for Hawk and haven't found anything new that's caught my attention. Lab Girl has had good reviews, too, and it's on my phone for when the mood strikes. My book club (yes, I joined a book club!) is reading Homegoing and I'm about halfway through it. I wish I could say that I'm loving it, but it's taking some effort to keep going. We will celebrate the 4th of July here in Little Whale Cove on the 3rd with a neighborhood picnic/bbq, which should be fun. We might go watch the fireworks somewhere on the coast on the 4th or maybe we'll just stay put and see what we can see from the bluff. Les - There hasn't been much posting here, so it shouldn't take very long to catch up;-) Sorry you're not enjoying Homegoing. My daughter is in the middle and enjoying it, but my mother wasn't wild about it. It sounds like you're settling in to your new life on the coast. I'm enjoying the instagram photos... you are surrounded by natural beauty! Beautiful photo of the lake! Phineas Finn sounds interesting despite our political environment. Nice to find a copy of Sense And Sensibility. I hope you enjoy the read along. Happy Fourth of July. Hard to believe it is just around the corner already! Pat - Those photo opportunities have been few and far between this spring/summer.... we are stuck in a wet, stormy pattern that I hope changes soon. I can't believe that July is just about here either! You have so many great books going that I hate to push for Lab Girl, but I thought it was a beautifully captivating story. And now what have you made me do? All these wonderful new BookExpo books and I pull Do Not Say We Have Nothing out of my library stack! Deb - Glad to hear you liked Lab Girl... off to the library to pick it up now! 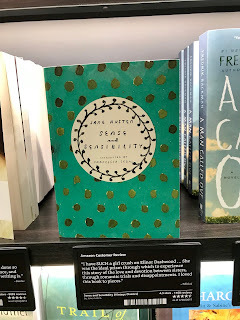 That edition of Jane Austen is gorgeous! I think I would have had to have the whole stack! I've heard Lab Girl is really good and I hope you enjoy it! Have a great week! 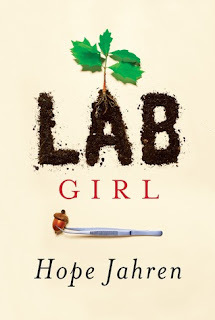 Lab Girl was an awe-inspiring memoir for me. It was so wonderful to sit back and see everything from a different perspective. Loved it. 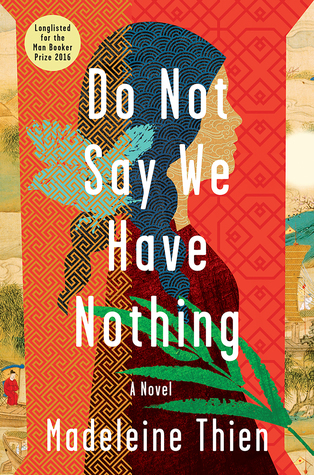 I'm definitely putting Thien's book on my list for this year. I'd like to get to it this summer. And your love of Trollope stays fixed in my mind--so much so that I am much more likely to try him some one of these days. I don't think it will be a long wait. I read Sense and Sensibility about 17 years ago and loved it. I do wish I were into reading it again for James's readalong. But I'm feeling too keen on reading other books, though in September, he's reading Mansfield Park, which is on my Classics Club list. So maybe then. Judith - I'm so glad to hear you recommend Lab Girl... feeling overwhelmed and not sure I'll be able to read it in time, but you make me want to try. I'll probably make it a read/listen combo in hopes of finishing sooner. If all goes as planned, I'll also reread Persuasion with James in December. Hope you enjoy Mansfield Park. You are the first person I know who has actually visited an Amazon bookstore - so I do hope you write more about that! Summer is in full blast here, and we've dodged our first tropical storm. I am very much looking forward to a day off for the 4th, even if it's Tuesday this year (Monday at work will feel very odd). Lisa - I think I will write a short post about my brick and mortar amazon experience... thanks for the encouragement! Love the beautiful pic! Yay for summer. And that looks like a really nice edition of Sense and Sensibility- I hope you enjoy your re- read. I haven't seen that cover of Sense & Sensibility but definitely curious to hear about your experience at the Amazon store. Can't believe it took me so long to finally read S&S but I did and loved it! hope you enjoy the days ahead with your family and all the happenings coming up for the 4th! I found a two novel volume of Jane Austen's Northanger Abbey and Persuasion in a charity shop for 50 pence here in England. Just started reading that last night. Looking forward to touring some of the places she lived while I am living here. Lorraine - I love Northanger Abbey... think it is Jane at her funniest! 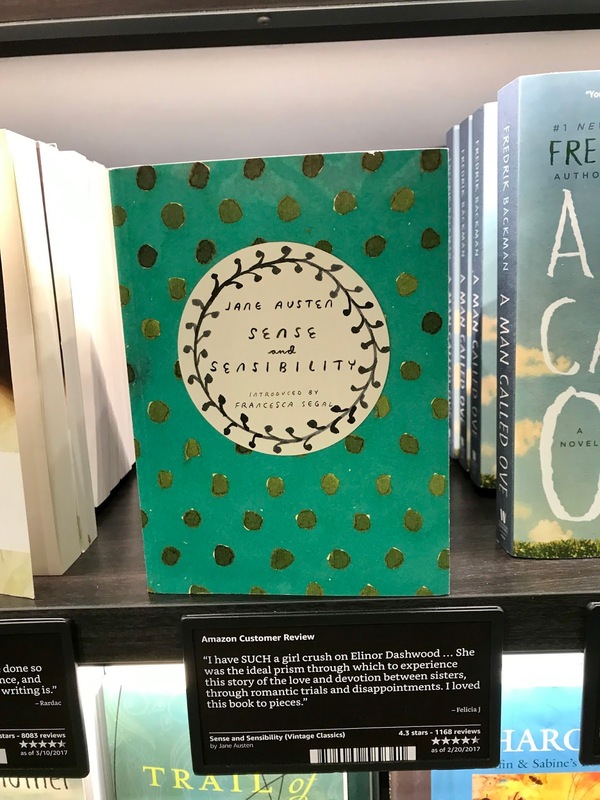 One of the highlights of my first trip to England was a Jane Austen walking tour and a visit to the Jane Austen Center in Bath. I have several books sitting here in various stages of reading progress. Nothing political. Absolutely hate the politics of USA and Australia. So uncaring. Or insane. Winter here. Been busy with photo challenges as Canon has been in town doing photo walks and workshops. Fun times but a bit chilly. It is winter now. Pam - Yes, I feel the same way about politics at the moment. Enjoy the photography and stay warm! Lab Girl was my pick for book club so I'll be reading it soon. I think you can read it before you meet. My town has been on high alert for brush fires. We just had one over the weekend and the reminders about fireworks being illegal are in full swing. Our town has a show on the actual day but it's crowded and hot and official seating is very limited. Plus, our pup is a wreck these days with noises like flies and fireworks so we will be staying home. Ti - I might make Lab Girl a read/listen combo so I an get through it in time. Just read on another blog today that the audio is excellent. We've had dogs that just couldn't handle the noise of fireworks, too. Am always surprised when Zelda doesn't bat an eye over them. Hope the Otter Pup survives the holiday! Wow you have a lot of books on your plate. The Lab Girl could take 10 days perhaps, b/c it's nonfiction. I'm interested in the Feminist Manifesto. Curious. The photo of the lake is beautiful. Enjoy your week. & Happy 4th! I'm traveling and just across the water from you in NY state -- in Kingston. Can see you, ha.